The launch plan below is not a quick hack. This plan is meant for people with long term vision and strategy, people who are building a business on Amazon. You know the basics of Amazon selling. ( If you are a total newbie, we recommend that you read some books, tutorials or take some courses about the basics of Amazon FBA first). (or you have an external traffic source, such as a customer mailing list). You are prepared to lose some money in the beginning by selling your products at or below break even point for a few weeks or even months. As many of you know, Amazon has changed its TOS on Oct. 3 2016. Before Oct. 3 2016, the most common way of launching Amazon products was to use Amazon review sites and/or Facebook review groups. It was very easy! You would give away 20… 100… 500… (as many as you need) Amazon discount claim codes to huge networks of interested reviewers in exchange for reviews (usually up to 90-100% discounts). This simple method would guarantee a certain quantity of initial (fake) reviews and initial (fake) sales. It was expensive, but you would rank fast! Well, it is all illegal now, Amazon has banned incentivized reviews tied to free or discounted products on Oct. 3 2016. Moreover, they went on and deleted many of these fake reviews and continue to do so. They also file lawsuits against companies and individuals who are involved in manipulation of reviews. Some of these review sites have changed their software a bit, and now claim that since they don’t explicitly ask their armies of reviewers to leave reviews in exchange for discount claim codes, it is OK and legal to use their service… But, I wouldn't touch them with a barge pole. Moreover, I am pretty sure that most of these career reviewers are somehow tagged by Amazon. So, there is a needed for a new plan on how to launch new products, get initial reviews and climb up the A9 search results to obtain organic sales. For the record, A9 is the name of Amazon’s product search algorithm. Amazon is a SEARCH ENGINE. But unlike Google or Bing, it is a shopping search engine. 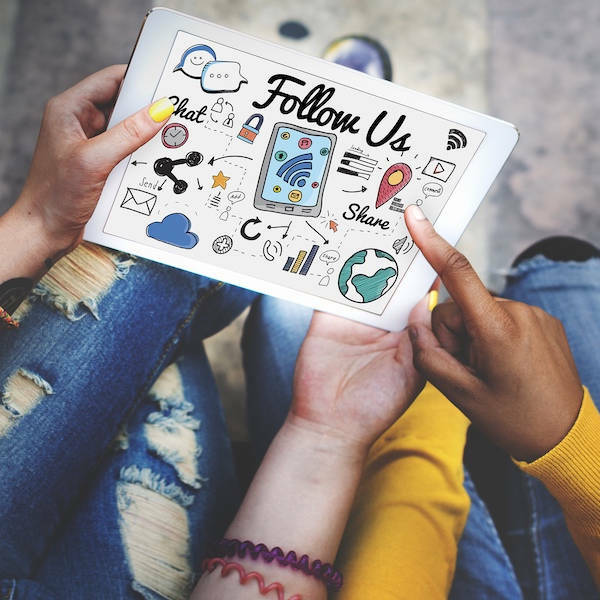 Their main goal is not to give you most relevant information or to answer your question, their goal is to maximize the Revenue Per Customer, in other words make more money. If you don’t know much about how A9 works, we strongly urge you to do your research. We will not be focusing on such important A9 ranking factors as titles, bullet points, descriptions, images, keywords, etc. We assume that you took care of those. A9 also takes into consideration the number and quality of customer reviews, seller feedback, price, time on page and bounce rate. So, we will optimize our launch plan to: reduce bounce rates, increase time on page, increase the number of reviews… and we will start off with a lower price. 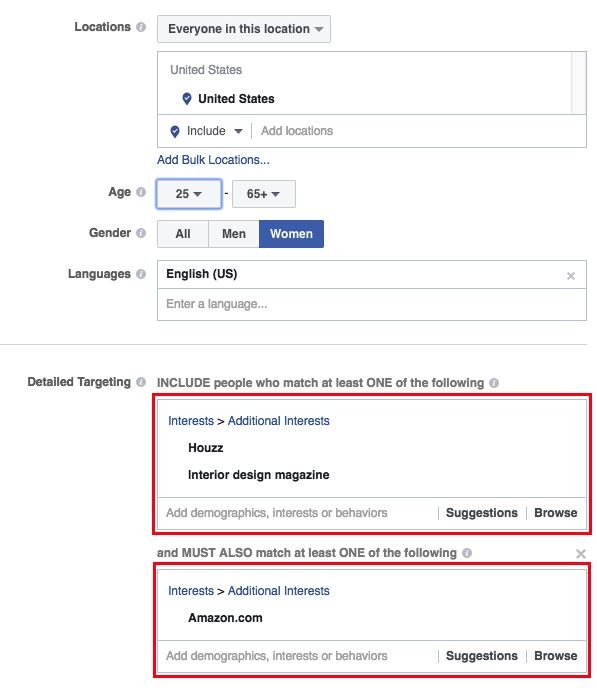 This plan comes down to driving targeted External Traffic to your Amazon listing for a short period of time using Facebook Ads to boost the initial sales, get initial reviews and obtain stable organic ranking. Here we will explain how to do it right. Why do you need a Landing Page and not send the traffic directly to Amazon listing? The answer is the “bounce rate”. High bounce rates will negatively affect your ranks. We need to send really motivated buyers, who don’t click the “back” button. Another reason is that on the landing page you can better represent your product, and not be limited by Amazon interface. Also, you can collect valuable customer emails, which later you can use to boost your other products. You can create a landing page using ZonPages.com or you can even make it yourself, if you have basic programming/design skills. Go to your Amazon Seller Central and edit the offer for the product you are about to launch. You should set your price to about or below your break even point. But be careful, anything below 9.99 may make you product an “Add-on Item” and it is not what we want. So, if competitors sell, say 25.99 … breakeven point, say 11.99 - set your sale price for 11.99 initially. Download the promo code list file and upload it to your Landing Page software. ZonPages.com makes it real easy for you to use single use Amazon claim codes during your promo. If you have already started building your brand/business outside of Amazon, and you have a perfect mailing list of customers - it is a perfect way to start. Simply send them a newsletter with a link to your landing page to claim a discount on your new product. If you don’t have a list, you can use Facebook ads or Google Ads. We use Facebook Ads, because we like the way they let us target very narrow audiences. Now you need to go to your Facebook Ads, and create an audience for your ads. Remember, we want people who would actually need and love our product, not just deal seekers. Let’s say we sell an item in Home Decor category, so we can pick people who shop on Amazon and read Houzz and Interior Design Magazine. For us this selection worked out to be very efficient. Facebook is very flexible when creating audiences, and we strongly recommend that you read more about it. Remember, try to narrow down to your perfect audience. It will save you a lot of money and make your campaign very efficient. Let only motivated buyers click on your ads! Set your spending limit and launch your ads. After the sales start to come in, you need to follow up with emails (through Amazon system). There are different theories about how the correct email sequence should be. We do not send more than 2 emails. Some sellers send 3. But remember, Amazon also sends emails, and you do not want to get your customers angry and label you as spammers. We send first email right after the package is delivered. And the second one 5 days later. You can either do it manually from your Amazon Seller admin account or use an automatic email sequence service. NEVER ASK FOR A REVIEW IN THE FIRST EMAIL Better provide value and/or surprise. If your product requires a manual - send a PDF manual or an instructional video (Tip: upload your video to Amazon S3 servers, and then provide a link in a follow-up email.). Maybe, give some tips about your product. Maybe send a free e-book that compliments the product. (Tip: Google for Private Label Rights (PLR) eBooks). 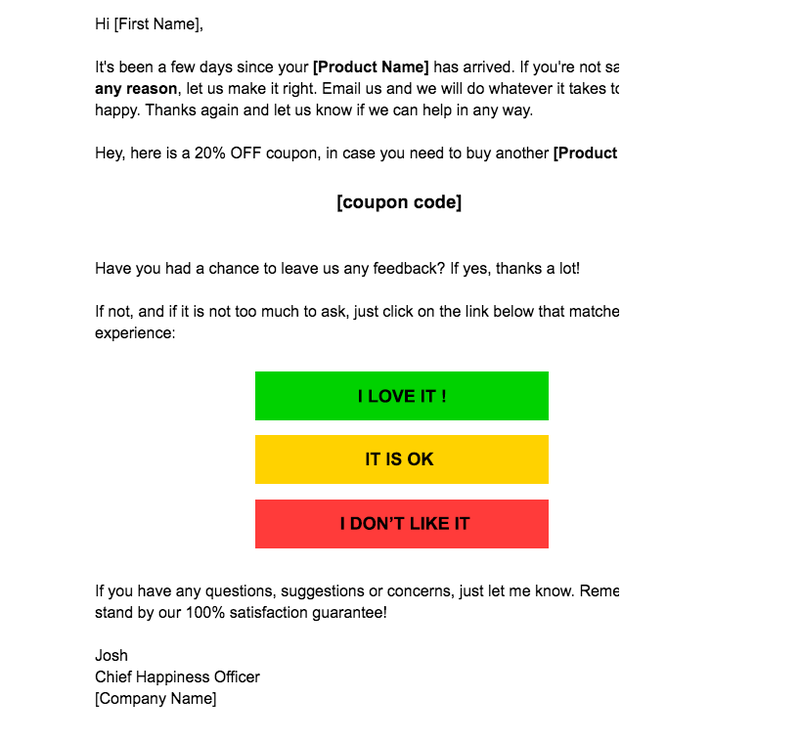 “I LOVE IT” must link to your product review, while yellow and red lead to seller feedback. 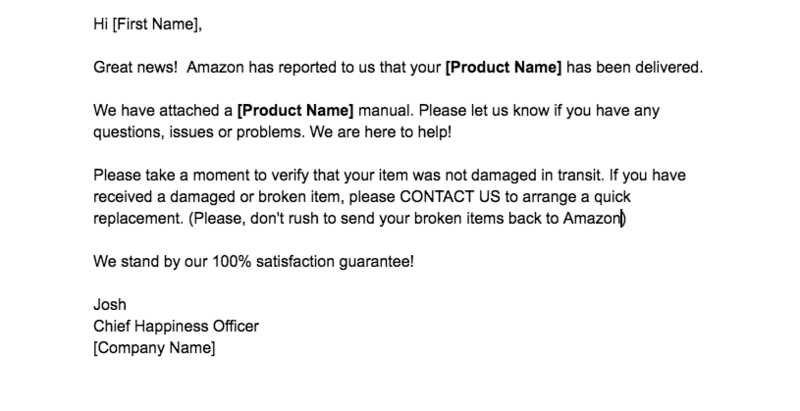 The trick here is: seller feedback can be easily removed, if you are an Amazon FBA seller. After you have received your first 15-20 reviews, and probably have sold around 80-100 items at a below break-even point - it is time to fire up your Amazon PPC (Pay-Per-Click) Campaign. There are books and courses written on Amazon PPC Marketing, and you have to learn the basics. Ideally, after a month or two, you run out of claim codes, that you initially prepared for the launch campaign. Your BSR has improved, and you rank organically for your keywords. You have verified reviews and you run some limited PPC campaign to help the Organic ranks. What’s next? Start increasing the price till it makes economic sense for you and your buyers. Congratulations, you have a listing that is profitable. You are in business. Plus, you have a good email list of your initial customers. You can use this list for your another launch. Here is our little test. We launched the product on October 1, 2017. and by Nov 20th we had a stable listing with organic traffic making close to 1000 sales/month and with "#1 New Release" badge.